Almost sorted my kit. 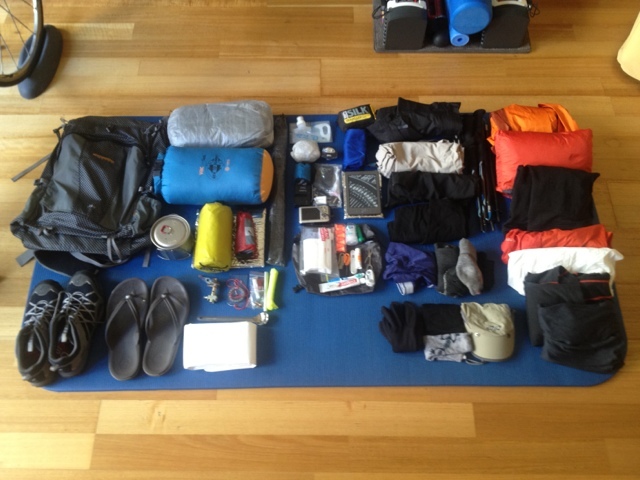 This is it, everything i'll be carrying or wearing for 12 mths walking/travel. It's tracking about 8kgs pack weight. I'm sure I'll tweak a few more things before take off.